You can afford a Dietrich home. Our Inspired line is exactly what it sounds like. These high-value, mid-range homes are inspired by the custom designs and distinctive finishes of the luxury homes we’ve been building for more than 40 years. 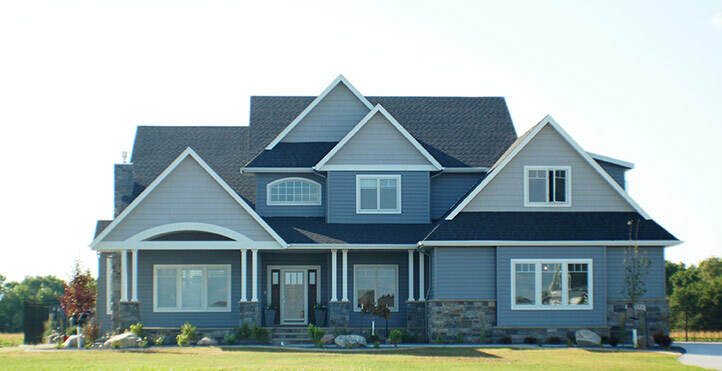 You get the quality of a custom Dietrich home in a highly competitive price range. Inspired homes start with a selection of pre-defined plans for you to choose from – ramblers, two-story master up, main floor master two stories, modified two-stories and multi-level homes. You’ll have the flexibility to personalize beyond that, from moving interior walls to choosing from a selection of cabinets, countertops, appliances and other finishing touches. You’ll also get high-quality materials for the structure and finishes, along with the attention to detail and exceptional craftsmanship for which Dietrich Homes is known. As for everyone’s bottom line – cost – you have our word there won’t be any hidden costs or add-on hikes. We’ll quote good, better, best on everything at the beginning. You make the decisions, and the price won’t change (link to The Real Price) unless you alter something or add something new. When a phrase like that becomes a synonym for exceptional craftsmanship, the highest quality construction and individualized homes that say something about their owners, well, that’s when we know we are living up to our ideals and building the best homes possible. We’re proud of the reputation we’ve built over years of constructing dream homes for people throughout the Fargo-Moorhead region and Minnesota lakes area. Our promise to each customer is to continue the tradition of excellence and fine homebuilding for which we’re known. • Function – Your home needs to perform exactly the way you want it to and meet your needs so you and your family can live comfortably and efficiently. • Form – Your home should express your individuality and style. You should love how it looks and feels and be excited to showcase it to family and friends. • Process– It should be easy and enjoyable, if not downright fun, to build your home. Our team will make sure the process is rewarding! Straight Talk – We strive to make sure you know exactly what we are providing in your new home. We do the right work up front, in the design process, to ensure you have all the information you need to make informed decisions during the process (link to Inspired Process). The information might include CAD drawings, product samples, showroom visits, pricing for multiple product options, structural design and anything else that will give you complete confidence your home will match your dream. Set Guaranteed Prices (link to The Real Price) – No surprises. Period. Staying true to our price is one of the most important aspects of Dietrich Homes’ character. More than anything else, it establishes and defines our integrity. By designing and pricing all the products to be included in your home up front, we can give you a set guaranteed price contract. The contract, specifications and plans will be thorough and complete so you can have complete confidence in the price of your new home. Guaranteed! Product Integrity – There are certain things Dietrich Homes won’t compromise on, like building beyond code and including necessary implements (link to Our Standard, Their Upgrade) (think refrigerators and stoves) in the up-front cost. Over more than four decades of designing and building high-quality homes, we have found that “Forever Homes” with years of trouble-free performance are the only homes we want to build. It’s the right way to build. We’re talking about more than what you see on the surface of your home, such as cabinets, countertops, flooring and wall finishes. There’s quality there, certainly, but with Dietrich Homes quality encompasses everything from planning to personalized design to high-quality construction and all the details in between. The way we build homes, you can look forward to many years of exceptional performance. And you can count on your relationship with our team even longer.